Former Vice President Joe Biden pauses as he speaks at the University of Utah in December. Allegations of inappropriate contact with women are putting Biden's potential campaign hopes in jeopardy. These two women's allegations, by themselves, are unlikely to determine the trajectory of Biden's candidacy. Even the viral video clips of his shoulder-rubbing "Uncle Joe" routine will not be the last word. But all the above constitute a serious concern for Biden and his backers, because they highlight a fundamental vulnerability that will burden him if he makes another bid for the Oval Office. On the most obvious level, complaints of this kind renew the criticism of Biden's past performance on issues affecting women and people of color, the two constituencies likely to matter most in choosing the next Democratic nominee. But on a deeper level, these stories reinforce a perception of the 76-year-old Biden as an only partially reconstructed man of the last century — an embodiment of the attitudes of an earlier era. His basic vulnerability is being cast as a candidate of the past in a party selling itself as the party of the future. Biden has already apologized for his handling of the Anita Hill hearings in 1991, when Hill described being sexually harassed by Supreme Court nominee Clarence Thomas. Biden was chairman of the Senate Judiciary Committee and failed to give her, in his own words, "the hearing she deserved." Although Biden ultimately voted against Thomas, he and the rest of the all-male panel in the hearings often gave the impression that it was Hill who was on trial. Years ago, Biden also expressed regret at positions he took in the early years of his career in Delaware and in the Senate, when he opposed, among other things, busing to achieve racial integration in schools. More recently, he has regretted in public his support for the 1994 crime bill that has been widely seen as prejudicial against African-Americans. Such contrition may help Biden mend some fences. But adjusting his aura of attachment to the past is a trickier proposition. Because perceptions of Biden as "old school" or "old fashioned" are not just liabilities to be shed — they are also the basis of his appeal to many older, white, working-class Democrats and independents. No one should forget that the failure to connect with many of these voters drove Hillary Clinton's share of the overall white vote down to 37 percent and cost her the election. No one expects Biden to win back a majority of the white vote for his party. But getting back above 40 percent would put him with 2008 Barack Obama and 1990s Bill Clinton and probably put him in the White House. 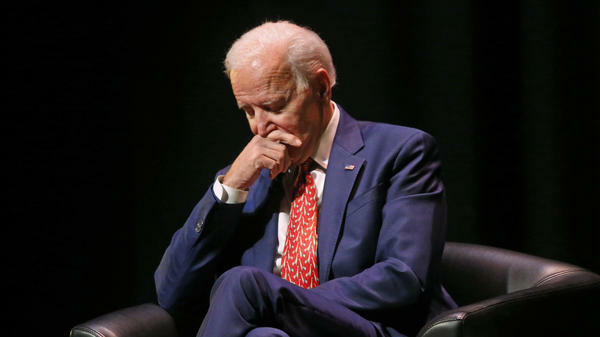 Biden is a product of Irish Catholic immigrants in Scranton, Pa. His natural appeal in Pennsylvania and other Great Lakes states Clinton narrowly lost in 2016 is a major part of his case for being the party's best shot against President Trump. It must be said that the complaints from these two women describe brief incidents that took place in public, one in 2014 and one in 2009. They are offenses that many in Biden's generation would regard as minor. One of his recent accusers has said he smelled her hair and kissed the top of her head. The other says he put her hands around her neck, turned her head and rubbed noses with her. "It wasn't sexual, but he did grab me by the head," Amy Lappos told The Hartford Courant on Monday. Lappos, at the time, was an aide to Connecticut Rep. Jim Himes. "He put his hand around my neck and pulled me in to rub noses with me. When he was pulling me in, I thought he was going to kiss me on the mouth." Perhaps we should be shocked that no one has expressed shock at these accounts previously. Biden is a prime example of what Jerry Seinfeld has called "a close talker," one who brings his face uncomfortably near even at the moment of introduction. Beyond that, he has long been known for being overly familiar and physically exuberant toward women he has just met, women of all ages. In 2014, NPR's Tamara Keith reported on Biden leaning in to plant a kiss on a woman who turns out to be 101 years old. Beyond that, he is inclined to rub a woman's shoulders or hold her hand or get close to her face. Both of the recent accusers seemed to suggest his behavior was weird more than frightening, embarrassing more than threatening. Given the litany of male offenses brought to light in the past two years by the #MeToo movement, these incidents may seem relatively harmless. But House Speaker Nancy Pelosi, the Democratic Party's highest-ranking woman, said Tuesday morning that while the allegations against Biden are not "disqualifying," he needs to join the "straight-arm club" and change his behavior. "He has to understand in the world that we're in now that people's space is important to them," Pelosi said at a panel event sponsored by Politico, "and what's important is how they receive it and not necessarily how you intended it." And she said his apology was not enough. "To say, 'I'm sorry you were offended,' is not an apology," Pelosi said. "It's, 'I'm sorry I invaded your space,' not, 'I'm sorry you were offended.' "
Others, including women who have met or known Biden for years, would say they reveal more about personality than character — more about style than fitness for office. A widely quoted op-ed in USA Today by former Biden aide Elizabeth E. Alexander offered a spirited defense: "He was, is and always has been a champion for women and equality." Some will also wonder why Biden, at 76, seems more a target here than Vermont Sen. Bernie Sanders, who has had to deal with allegations of sexual harassment by staffers within his 2016 campaign. Sanders is, after all, even older than Biden and at least as much a product of an earlier time. 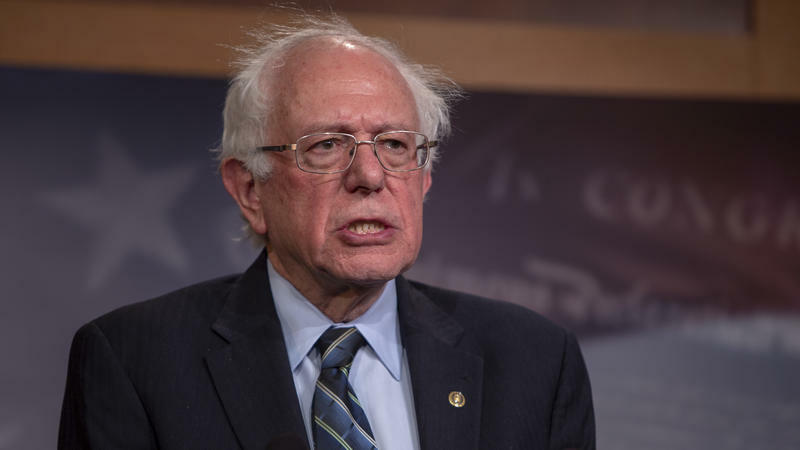 But Sanders, the outsider candidate who calls himself a democratic socialist, was not accused of inappropriate contact himself, and he also found in 2016 a connection to the outsider voters of his adopted Democratic Party. He especially spoke to and for the young, regularly beating Clinton among primary voters younger than 30. Even among African-Americans, who otherwise heavily favored Clinton, those younger than 30 preferred Sanders. Because he has never been a creature of the establishment, inside or outside the party, Sanders seems new and fresh and even youthful in a sense. Biden, despite his eight years at Obama's side, remains rooted in the much older world of Washington that greeted him as a freshman senator in 1973 — nearly half a century ago. On the other hand, if Biden suffers from all this, will the main beneficiary really be another white man in his late 70s? If the fundamental issue is the male sense of entitlement regarding women's bodies and personal space — and the lack of socially enforced boundaries — that message may need a more natural messenger. Someone with an innate sense of what women still experience in this country. Joe Biden walked up to the microphone on the altar in the church at his friend John McCain's funeral and sounded like a man with something to confess. "My name's Joe Biden," he said. "I'm a Democrat. And I loved John McCain." Then he paused. 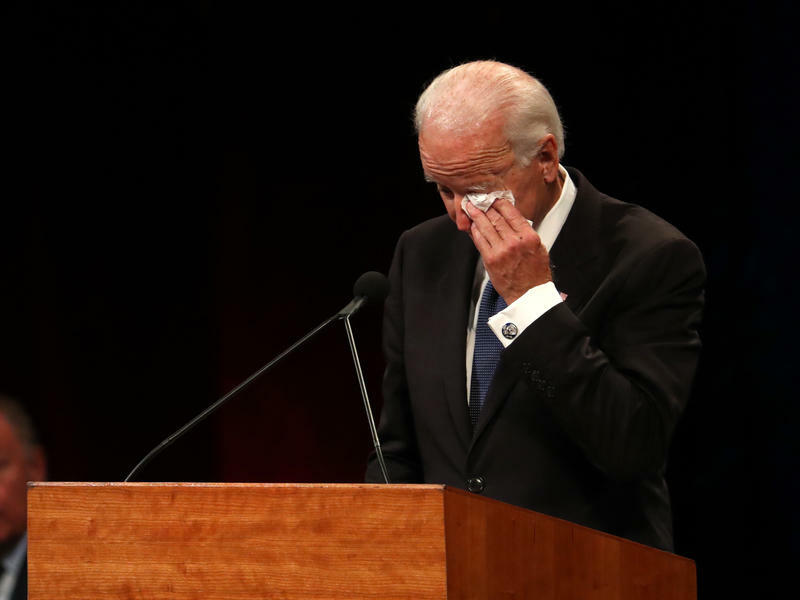 Biden noted that he had given a lot of eulogies over the years. But "this one's hard," he said. Amid continued scrutiny over how lawmakers handle reports of sexual misconduct by their colleagues, members of the House on Wednesday approved a measure that will strengthen the way the chamber addresses complaints of sexual harassment. In the midst of accusations of sexism and sexual harassment by aides on Bernie Sanders' 2016 presidential campaign, the senator's former campaign manager acknowledged Wednesday that there had been "a failure," and Sanders is promising to make sure the same problems do not emerge if he runs in 2020. Google employees worldwide are walking off the job to protest the company's treatment of women and its handling of sexual assault cases. 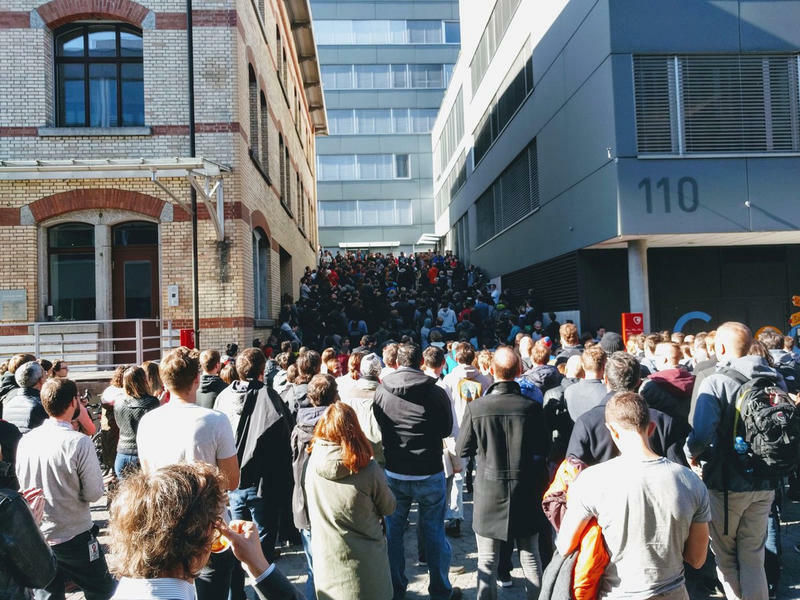 They walked out of Google offices at 11:10 a.m. local time Thursday in Singapore, Zurich, London, Dublin and New York City, filling nearby streets, sidewalks and parks. And in California, home to Google's headquarters, employees streamed out of its offices into plazas. 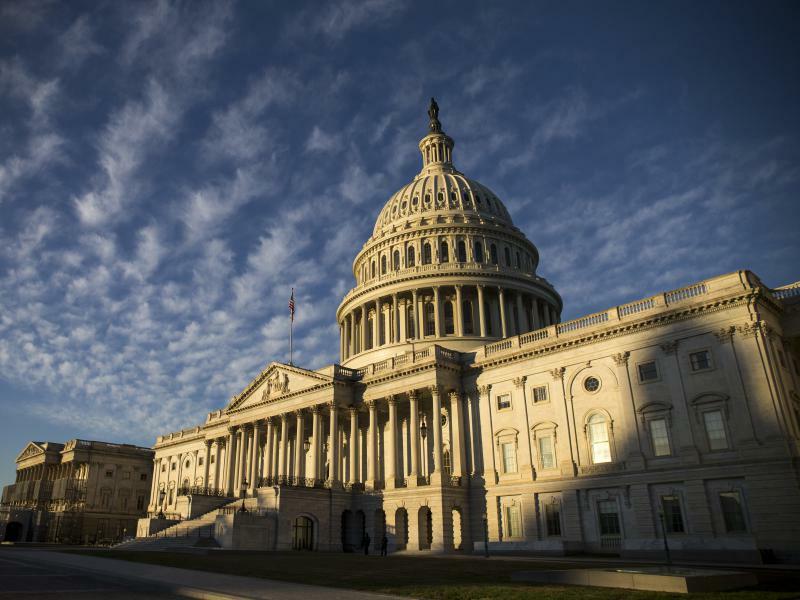 Congressional negotiators have reached an agreement to overhaul the system for handling accusations of sexual misconduct against members, including a requirement that members pay out of pocket for some settlements and court judgments.